Can High Blood Pressure be Caused by Snoring? You may have heard it before – Snoring can lead to high blood pressure. This is a statement that is commonly repeated but is it really true? Is it possible that this seemingly innocent little sound made by millions of people each night can be the cause of such a serious issue? Snoring by itself is a sleep-related breathing issue in which air does not flow freely in and out of the lungs. As air passes through, it’s often met with resistance from an airway that is out of tone due to a number of reasons which include everything from abnormal anatomical structure to being overweight. When resistance occurs, moving air may cause the tissues within the airway to vibrate against each other, resulting in the sound of snoring. A surprising number of people who snore also have a condition known as Obstructive Sleep Apnea or OSA in which the airway collapses and breathing momentarily ceases. This can happen repeatedly throughout the night. Those who have OSA are often plagued with high blood pressure and are placed on prescription drugs to help keep it under control. 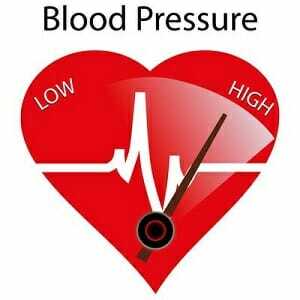 High blood pressure can lead to a number of serious medical conditions including hardening of the arteries, stroke, heart attack, and congestive heart failure to name a few. In fact, the number one and number three causes of death in the US are heart disease and stroke. It’s a condition that affects nearly 1 in 3 Americans and has a $46 billion dollar annual impact on the US economy. Needless to say, high blood pressure is a serious and common condition that should be taken seriously. Snoring often precedes OSA and it is also very common in those who already have sleep apnea. It’s important to note that although the two are very closely related, either one can occur independently, meaning that you can snore and not have OSA or you can have OSA and not snore. We know that there is a relationship between snoring and sleep apnea, now what about the relationship between high blood pressure and OSA? How does sleep apnea affect blood pressure? The body has an amazing way of taking care of itself with defense mechanisms. Our bodies perform unconscious actions each and every day in order to keep us alive. Keeping this in mind, let’s go over how sleep apnea and high blood pressure are related. With OSA, your air supply is blocked off. When you shut off breathing, blood oxygen levels are greatly reduced. Your body responds by sending a surge of adrenaline from your adrenaline glands and a chain reaction occurs. Suddenly, the adrenaline causes your heart to race and respiration to increase. This surge in your heart rate causes blood pressure to rise to high levels. As a result, you are startled awake and resume breathing. Normal breathing is short lived – as you fall back asleep, your airway relaxes and the process repeats again and again throughout the night. The result is that you never achieve the full cycle of sleep and you wake up tired day after day. This cycle of blood pressure spikes can have a lasting effect even while awake. For this reason, those who exhibit signs of sleep apnea and also have high blood pressure are encouraged to speak with their doctor about being tested for OSA. Simply stated, snoring may be a sign of sleep apnea and sleep apnea can cause high blood pressure which can lead to a number of other health problems. How Can I Treat High Blood Pressure That is Caused by Sleep Apnea? If you suspect that sleep apnea is causing your high blood pressure, it only makes sense to treat the cause instead of taking medications to control the symptoms. In many cases, blood pressure will lower once sleep apnea is treated. Start by having a discussion with your doctor about the possibility of the presence of sleep apnea and if it may be causing or a contributing factor to your blood pressure. If you are showing signs of OSA, your doctor may recommend a sleep study, also known as a polysomnogram. During a sleep study, a number of sensors will be connected to your body to monitor heart rate, blood oxygen levels, respiration, brain activity, as well as other activities. You will spend a couple nights in a sleep laboratory where a technician will monitor you as you sleep. Afterwards, interpretations will be made by the sleep specialist. If the presence of sleep apnea is found, what treatment options may your doctor suggest? For years, patients who were diagnosed with OSA were given a CPAP machine, since this has been long considered the “gold standard” treatment options. A CPAP machine blows a constant stream of air into the nose and mouth to force the airway to stay open throughout the night. These days, the approach to treating OSA has changed slightly. CPAP machines have a reputation for being difficult to sleep with and uncomfortable. For this reason, compliance is quite low for those who are issued a CPAP for treatment. Once on a CPAP machine, patients will always depend on it every night for the remainder of their life. Instead of simply issuing just a CPAP, new guidelines set by the American Acadamy of Sleep medicine now suggests weight loss in addition to CPAP use. The truth is, those who are overweight and have sleep apnea may find that their condition disappears after losing weight. Sleep apnea is often caused by excessive fat in the neck which pushes against the airway. While sleeping, the muscles that are used to support the jaw relax. This causes the jaw and the related muscles to move backward which causes a narrowing of the airway. Extra fat compounds this issue by exerting more pressure on the airway. By simply losing weight, this fat is no longer a contributing factor to sleep apnea. The oral appliances, although not as popular as the CPAP, are another effective treatment option for sleep apnea. An oral appliance is a small device that fits inside of the mouth and is used to hold the jaw forward. As mentioned, during sleep the jaw relaxes causing muscles and fat in the neck area to press against the airway resulting in a restriction or blockage. An oral appliance prevents these muscles from relaxing because it holds the jaw forward into position. An oral appliance is sometimes referred to as mouthpieces, mouth guards, or in the case of over the counter snoring products, they are called snoring mouthpieces. While not as popular as a CPAP treatment, these devices are quickly gaining popularity as they are more compact, require no electricity, and are generally more comfortable to sleep with. As with the CPAP machine, the best approach to eliminating sleep apnea is to lose wight in addition to following your doctor’s orders by using the treatment option that is issued to you. Is My Weight Really the Problem? Carrying extra weight can not only cause sleep apnea but a number of other health problems. Sleep apnea by itself will cause your blood pressure to spike. It’s well known that being overweight also causes issues with high blood pressure as your cardiovascular system is working extra hard to carry around that extra fat. By being overweight and having sleep apnea, this compounds the issue of having high blood pressure. 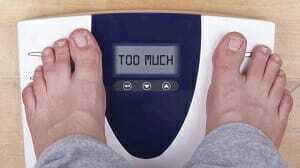 Being over weight can cause not only high blood pressure and sleep apnea but a number of other health conditions. While losing weight is not guaranteed to cure sleep apnea, it will be a step in the right direction and provide a number of other health benefits. There is a clear relationship between snoring, sleep apnea, and high blood pressure. While they are all related to each other, in some cases all three are simply caused by being overweight. Rather than relying on a long-term medical device to support you indefinitely, consider weight loss as a long-term solution to these and other health problems. If diagnosed with OSA, follow your doctors orders which may include the use of a CPAP machine or oral appliance. If you are overweight, make it a goal to lose weight. After losing weight, it’s possible that sleep apnea, high blood pressure, and a number of other conditions disappear and your doctor may decide to take you off the CPAP or oral appliance.